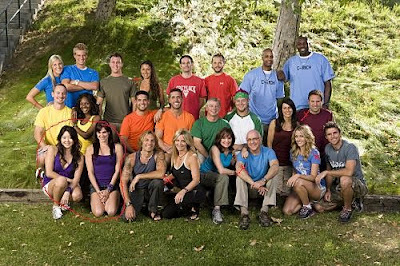 I watch the Amazing Race 15-episode 7 last night. So the 6 team flew over to Amsterdam, Netherlands for their next challenge. Meagan and Cheyne were the first to arrived followed by the brothers; Sam and Dan. The couple Brian and Ericka took very long time to count the bells but they still made it to dance challenge. After the counting of bells, the teams had to do either farmers game or farmers dance. The Professional Poker player Tiffany and Maria got eliminated last night. They were having hard time finishing with the challenge. Watch out for the next challenge these 5 teams will be facing at Stockholm Sweden.